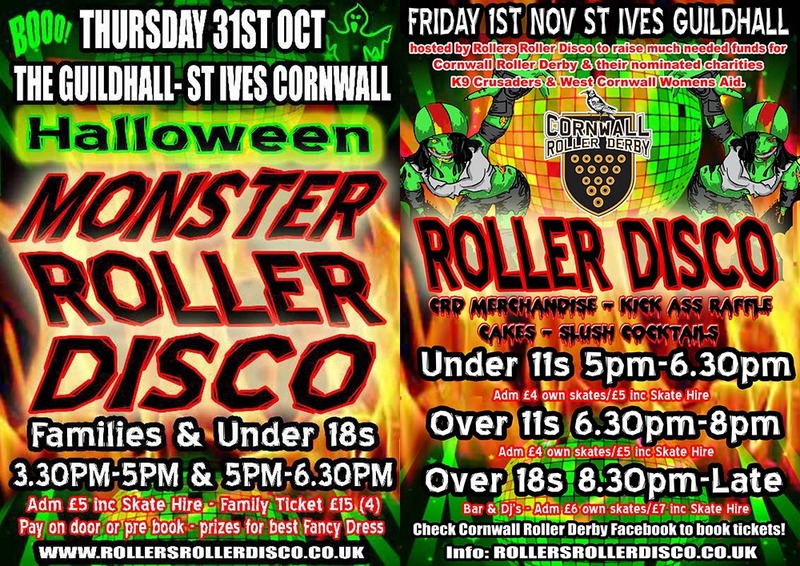 No fewer than five Rollers Roller Disco sessions at St Ives Guildhall this week. Thursday 31st October - Halloween Monster Roller Disco. Families and Under 18s - 3.30 pm and 5.00 pm. Friday 1st November - Cornwall Roller Derby Fundraiser. Under 11s - 5.00 pm. Over 11s Teen Skate - 6.30 pm. Over 18s Roller Disco party - 8.30 pm.